A couple months ago I got an email about a psoriasis study. I was so excited! 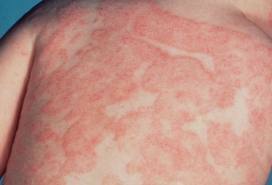 A potential treatment for my psoriasis AND I’d get paid each time I went to the dermatologist? Let’s go! I didn’t know if I’d get the placebo ointment or the drug, which was a vitamin D derivative. Things were going well at first. 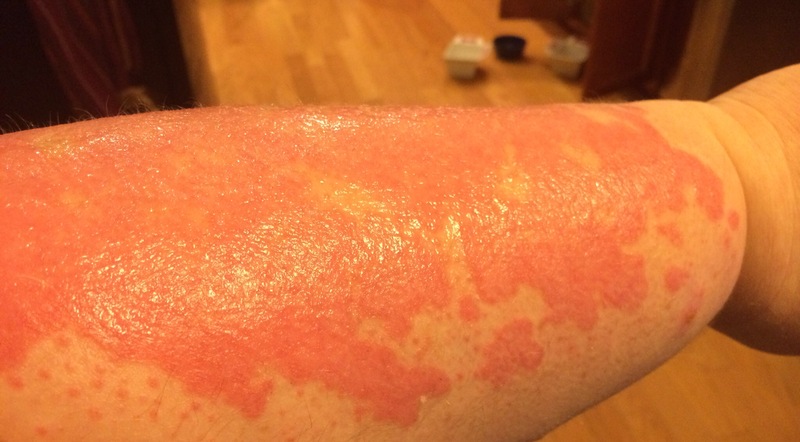 Then a few weeks ago my skin started to really itch. I mean, viciously itch. I couldn’t stop scratching. And my skin turned all red. My dermatologist told me I’d been given the drug, so at least we knew why it was happening. Then things got really bad for my poor arms. The skin got really tight. And started to crack and bleed. I couldn’t sleep at night for the pain. I decided to drop out of the study. I went to my next appointment prepared to drop out. My doctor saw me and said “Take her out of the study right now”. There were only 2 more weeks of the study to go, but there were also only 2 more weeks before I’m to leave on a cruise with my family. Here’s what I looked like 2 weeks ago. No filter. My doctor prescribed me a cream and told me to come back the Monday after Christmas. Here’s what my left arm looks like now. Less red. No more pain, thank goodness. But I still look awful. I’m not looking forward to putting on short sleeves in less than a week! 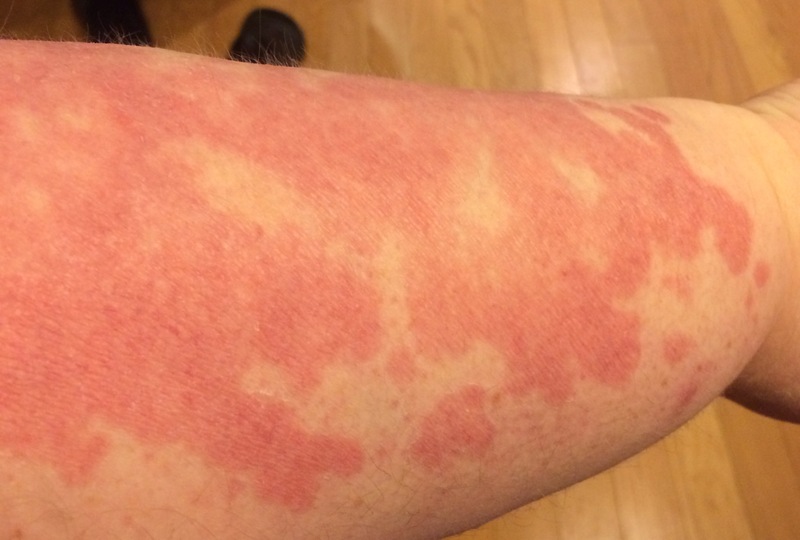 I asked my doctor about getting the shot (Humira, etc) but he said even though my arms are covered I don’t have enough psoriasis all over my body for my insurance to cover the shots and they run about $15k each. YIKES. When I get back from the cruise we’ll explore more options. I’m just hoping for some more fading up until Monday morning when I board the ship in short sleeves! I can’t go to the Caribbean in long sleeves! I’ll just keep telling myself I don’t know those people and have myself a grand time!